US President Donald Trump has complained of “voter fraud” time and again, prompting critics to accuse him of paranoia. 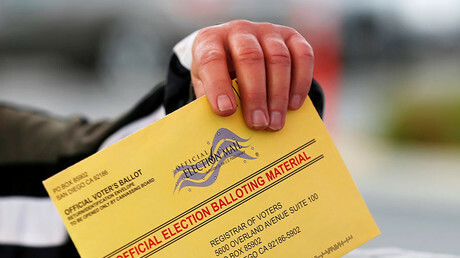 However, 11 California counties have more registered voters than eligible voters, according to a new report. The discrepancies were found by Judicial Watch, a conservative foundation which says it fights for accountability and integrity in law, politics, and government. The watchdog analyzed data from the US Census Bureau’s American Community Survey and the most recent California total active and total inactive voter registration records. 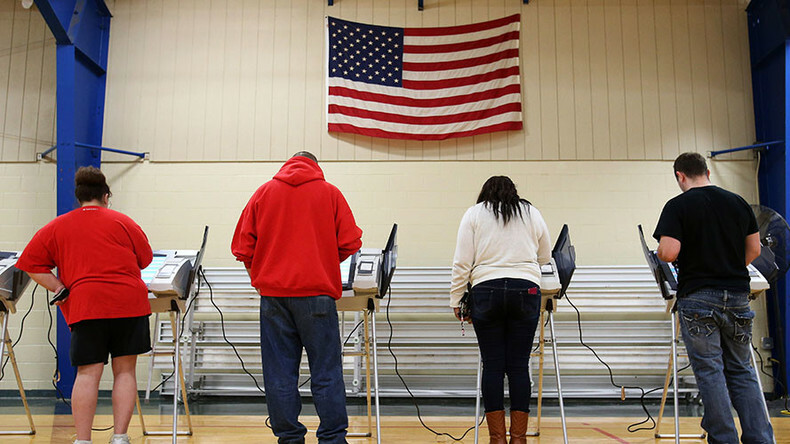 Through its analysis, Judicial Watch found that 11 counties had more registered voters than eligible voters. San Diego County was found to have the biggest discrepancy according to the analysis, with 38 percent more registered voters than people who are legally allowed to vote. San Francisco County placed second, with 14 percent more voters. Other counties were found to be in violation as follows: Imperial (2%), Lassen (2%), Los Angeles (12%), Monterey (4%), San Mateo (11%), Santa Cruz (9%), Solano (11%), Stanislaus (2%), and Yolo (10%). However, Judicial Watch reported that Los Angeles County’s number is actually higher than the data analysis showed, with county officials telling the watchdog in June that it actually has 44 percent more voters than it should – making it the county with the largest discrepancy. Under the NVRA, states are required to “implement procedures to maintain accurate and current voter registration lists,”according to the US Department of Justice. Judicial Watch has sent a letter to California authorities, warning them to clean up their act or face a lawsuit. “It is urgent that California take reasonable steps to clean up its rolls. We will sue if officials fail to act,” Judicial Watch President Thomas Fitton wrote in the letter. California is not the only state to have been called out by Judicial Watch. In April, the watchdog reported that 11 other states also had inaccurate lists of eligible voters: Tennessee, North Carolina, New York, New Jersey, Maryland, Kentucky, Iowa, Illinois, Georgia, Florida, and Alabama. In January, Trump vowed to launch a “major investigation” into voter fraud, citing people who are registered to vote in two states, are illegal, or dead. Trump’s claims of voter fraud have been mocked by critics who say the claims are unsubstantiated. However, some on the streets of New York appeared to agree that they do not have confidence in the US electoral system. “I just think it’s a system where even if maybe one vote is off in a state, then the state goes the other way…” one woman told RT.